Robust Systems Inc. 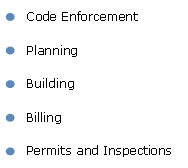 Integrated Land Management System (ILMS) allows you to easily and efficiently administer and keep track of building, code enforcement, planning, billing and fire safety information through a central database. Built on Unix and Microsoft technology, ILMS is designed from the ground up to cope with high transaction volume and offers sub-second response, even in large environments such as the City of Houston. 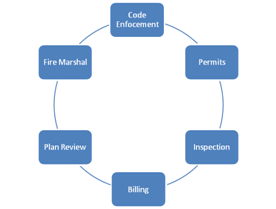 You can efficiently manage various code enforcement issues from the submission of the initial report through approval with up-to-date information. ILMS offers accounts receivable, re-sellable permits and renewable permits modules, among others. Field inspectors and investigators can wirelessly obtain data and interact with ILMS in real time via tablet pc’s and aircards. Additionally, contractors and citizens can access inspection requests and status inquiries through the ILMS web portal, allowing customers to benefit from faster service and results. Information and data are seamlessly transferred to ILMS from existing City databases. All reporting is done with Information Builders Incorporated WebFOCUS business intelligence. Robust Systems Inc. provides around the clock, 24/7 support, as well as a comprehensive help system to assist staff in using ILMS.